Traditionally, mortgage lenders require most borrowers to purchase mortgage insurance in order to protect against defaulted loans. For borrowers, this can actually be advantageous because it means being able to purchase a home without needing a 20% down payment upfront. However, there are different types of mortgage insurances, one being the FHA mortgage insurance system. The Federal Housing Administration doesn’t act like a traditional lender in regards to mortgage insurance. 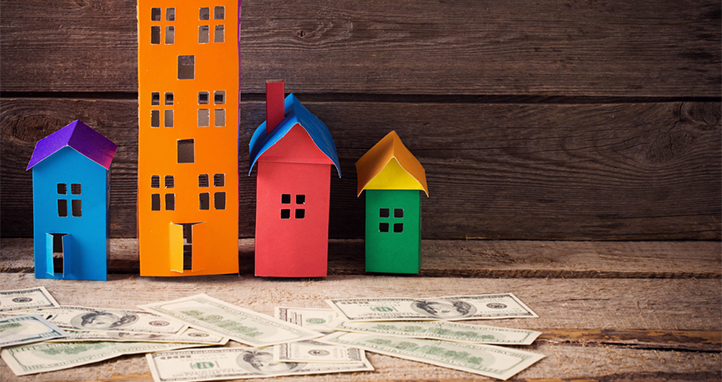 Rather than buying mortgages from a bank, the FHA actually insures the mortgages itself. The FHA produces a series of guidelines that banks can follow when underwriting a mortgage, and any mortgage insured under those guidelines can be considered an FHA mortgage. Then, if the borrower is ever unable to pay the monthly rate, the FHA restores the bank’s losses. FHA mortgage insurance backing is mostly self-funded by the organization, drawn from a Mutual Mortgage Insurance (MMI) fund paid into by FHA-insured homeowners by mortgage insurance premiums (MIPs). Two main MIPs exist: FHA Upfront Mortgage Insurance Premium and the FHA annual Mortgage Insurance Premium. These can be refinanced off the mortgage should a homeowner meet the refinancing qualifications. The Upfront MIP (usually a 1.75% rate) can be rolled into a closing down payment, at which time the mortgage is FHA insured while the homeowner never needs to pay into the MMI again. In fact, if you refinance your FHA mortgage within the first thirty-six months following the closing, you can receive a MIP refund on the unused portion based on your Upfront MIP payment. This decreases by 2% annually until no funds remain to be returned. On the other hand, the annual MIP is covered in twelve pay installments per year and is included in your monthly mortgage payment. Don’t look for “FHA mortgage insurance” on your mortgage payment paperwork, though. It’s rarely noted as such. Instead, you’ll see things like Risk-based HUD, Monthly Mortgage Insurance, and HUD Escrow. The FHA MIP tends to increase slightly each year, but there are ways you can claim exemption from any rate growth. For instance, if your FHA loan was approved on May 31, 2009 or earlier, these rates are “grandfathered” and remain low, with insurance premiums sometimes dropping to .01% for Upfront MIPs paid. Eligible borrowers may also drop their annual MIP rates from a maximum of 1.55% to .55%, and premiums remain the same across 15 and 30-year loans regardless of LTV.